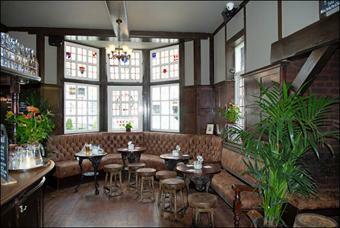 The Sussex Arms still gets my vote as one of the best pubs in London. We were here on Thursday and both the inside and the large garden at the rear were busy when we arrived. It actually got busier throughout the evening, which made service slower than usual. Ales on when I arrived were Mad Squirrel London Porter, Big Smoke Dark Wave, Bedlam Benchmark, Beatniks Republic Leather Soul, Windsor & Eton Eton Boatman, DBC Dorset Knob, West Berkshire Maharaja IPA, Thornbridge Honey Dew Melon, Arbor Piccolina, Gloucester No Coffee No Workee, Burning Sky Aurora & Thameside White Swan. Whilst I started on the cider, some of the ales we initially ordered in our group were cloudy and well past their best. Whether they were having issues with the beer quality or whether it was the volume they were getting through, I don't know. But beers were changing at a rapid rate. By the time we left, 7 ales had been poured through - Five Points Pale, Pig & Porter Hibiscus Pale Too Many Dicks On the Dancefloor, Welton's It's Time For A Hoedown, Kent Cobnut, Oakham Elephant In The Whirlpool, Windsor & Eton British Champion's Day Ale & Wild Weather Storm In A Teacup. Beer quality certainly improved as the evening wore on. Ciders were Ascension Sonic Titan, Sandford Orchards Devon Mist, Abrahall's Thundering Molly, Cotswold Cider Company Freak Show, Seacider White Peach & Cornwall Cider Company Apple Slayer. Thursday is steak night. So we took advantage of a steak deal which included a pint. Don't forget to get your stamps too. Get every 10th pint free. Another good evening in the Sussex Arms. 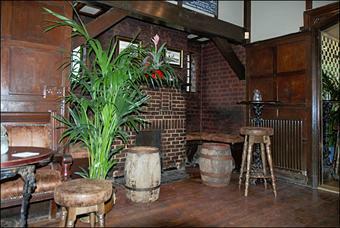 I was in the Sussex Arms last night after visiting a couple of times during the last year. It was rather busy, with very limited seating. 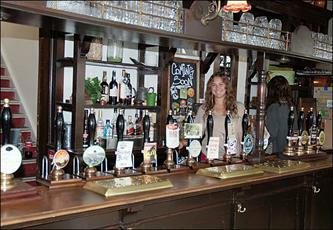 But the ale and cider range were as good as ever. Ales were Saltaire Blonde, Atom Pale Ale, Icknield Malt, Tiny Rebel Cwtch, Allendale Tar Bar'l, Hop Stuff Oatmeal Stout, Big Smoke Maple & Pecan Brown Ale, Harbour Amber Ale & White Horse Black Beauty. Park Brewery Killcat Pale came on whilst I was there. 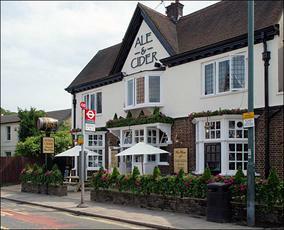 Ciders were Orchard Pig Juggler, Thistly Cross Whisky Cask, Biddenden Dry, Medium & Red Love & Celtic Marches Abrahalls AM. Service was good, despite it being a struggle to get to the bar. 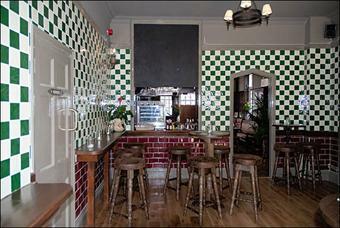 I noted that in relation to the previous comment, the food hygiene rating is now 4. I also overheard a conversation between a group of regulars, who were saying that the Albert in Kingston is the 4th pub in this small chain. So I'll have to get back there soon. 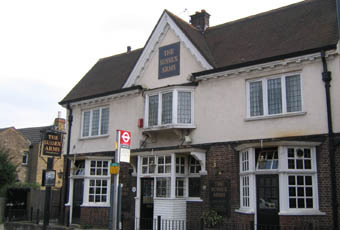 The Sussex Arms is still one of the best pubs in London. 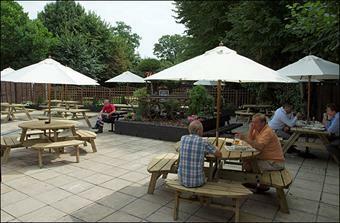 Currently has the excellent Biddenden cider on. AFAIK that makes it one of two pubs in London to stock Biddies, the other being the Claret at Addiscombe which always has it. A brilliant pub in many ways, but I wish they would get rid of the canned muzak. The steak dinner with a pint for £12 on Thursdays is a good deal - my steak was substantial and tasty. A scruffy pub that has many different beers and ciders,far too many to keep in good condition, my first pint was cloudy ,vinegary and clearly undrinkable after drawing this to the attention of the server two others behind the bar chipped in wondering how much I knew about Cronx beers,well I've tried enough and I can walk to the brewery from home. I offered to buy all three a pint of this if they would drink the lot,this was refused -i cannot imagine why. If you have to bother with this pub the emphasis is on high gravity beers and ciders. It just has to be a zero.